I’m like many of you. I put my pants on one leg at a time, eat far too many potato chips and spend copious amounts of time in digital universes. A primary consumer of that time being a little gem called World of Warcraft. I also unsubscribe from World of Warcraft with incredible frequency. I haven’t held fast through an expansion since Wrath of the Lich King. The reasons have largely been the same through the ages. It tended to be a combination of stale gameplay, competing priorities and uninteresting lore. The later, as you can imagine from our URL, being a pretty big deal and was the primary reason for aborting on the Warlords of Draenor expansion. Lol time paradoxes. Frankly, I don’t believe Battle for Azeroth is a bad game. I’ve abandoned it for a really specific, Seinfeld-esque reason. Priorities, fun and lore are minor factors. The granddaddy, being unable to find an adequate raiding guild. Early in BfA I quit my guild of umpteen years because it hard largely fallen apart with a scant few people returning. After some searching I found a large, multi-realm guild that was raid ready shortly after launch. A scant few weeks later, despite progress, it all fell apart. My next home had the same problem. The third time it happened in 3 months I called it quits, letting my subscription expire shortly after BlizzCon. Yes, in the end, I quit because my goal is to raid, and raid aggressively, not only ezmode Raid Finder, and was unable to find a home. Clearly, I could keep searching, hitting forums, Reddit and Discord for recommendations. I called it instead. Why keep searching when there are other digital universes to plumb? Perhaps if the lore was more intriguing, more drawn out and thought out, or my time priorities less strangling I’d be more apt to invest additional time in find Solidsamm a new home. 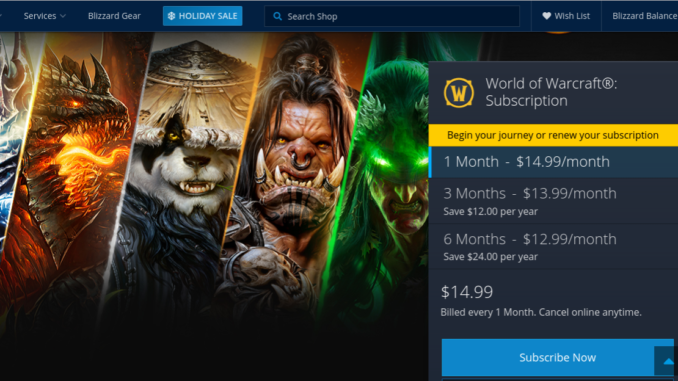 What reasons have been the final straw for your subscription, Warcraft or otherwise? Correlated, Battle for Azeroth rounds out my #2018gaming as 13/15. quality components to build their electric skateboards. It is a metal axle that connects when on the wheels, plus they are available in sets of two. Dе ‘motor’ vаn dе fiets moet in een goed jasje zitten.